Friday belonged to Large Cap stocks as both S&P and Dow Industrials posted gains which looked better than the less than 1% they managed. Volume climbed to register accumulation. Technicals are healthy and the S&P posted a new 'buy' trigger relative to the Russell 2000 (Small Caps). This may end up as a blow-off top but there is nothing in Friday's action to suggest such a top is in place. 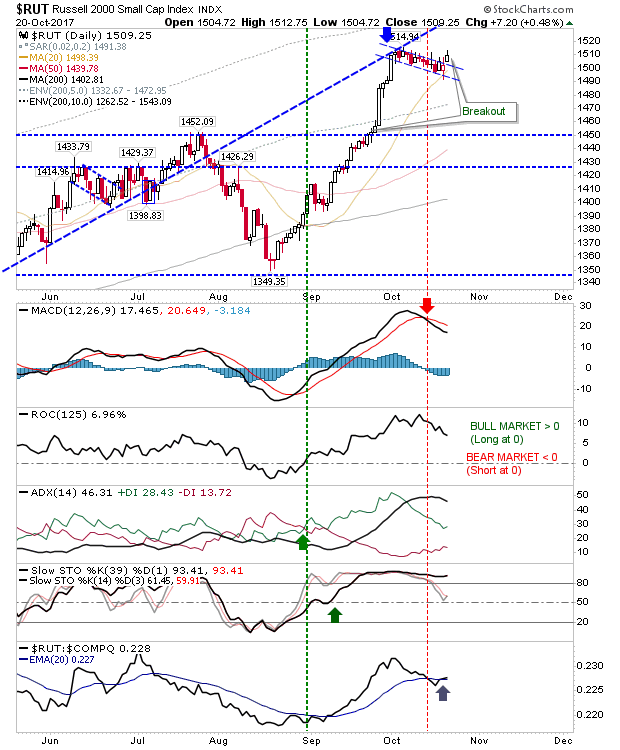 The Nasdaq finished with a small doji as it nicked a new high. Nothing of real conviction here with volume light. The Russell 2000 broke from its bullish 'flag'. It wasn't able to hold all of its early gains but the breakout is considered valid. 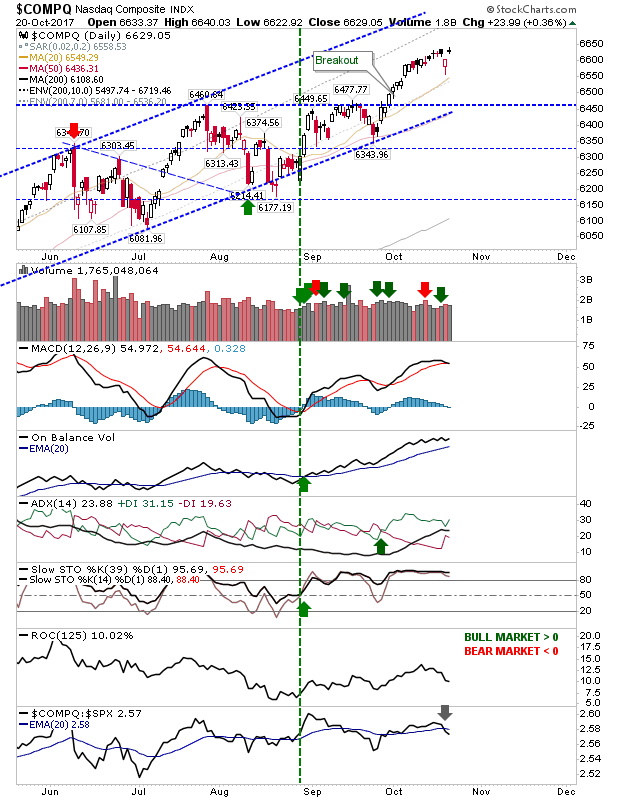 Technicals could be better but price trumps technicals. There was a 'buy' trigger in relative performance against the Nasdaq. 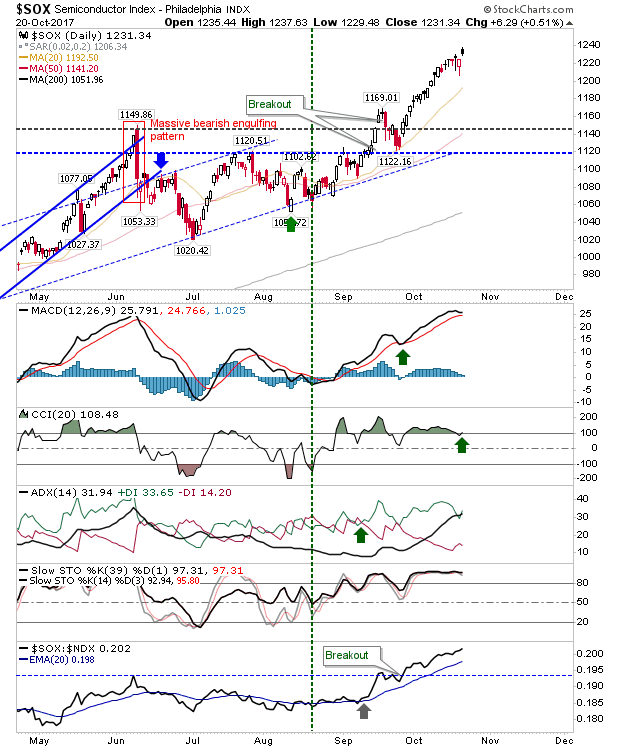 The Semiconductor Index kept it going with new highs on a doji. 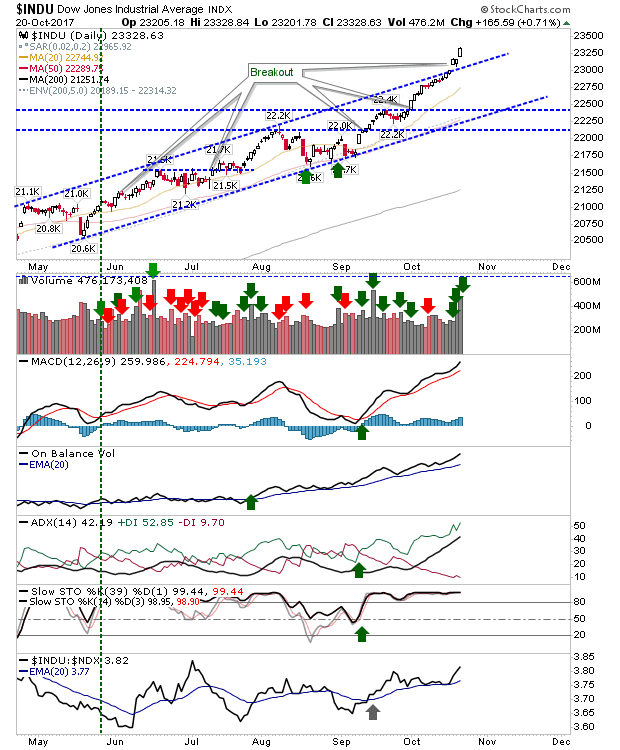 Technicals are okay but the acceleration since September is running along a very narrow channel and is vulnerable to profit taking. For tomorrow, look for further gains in Large and Small Caps. 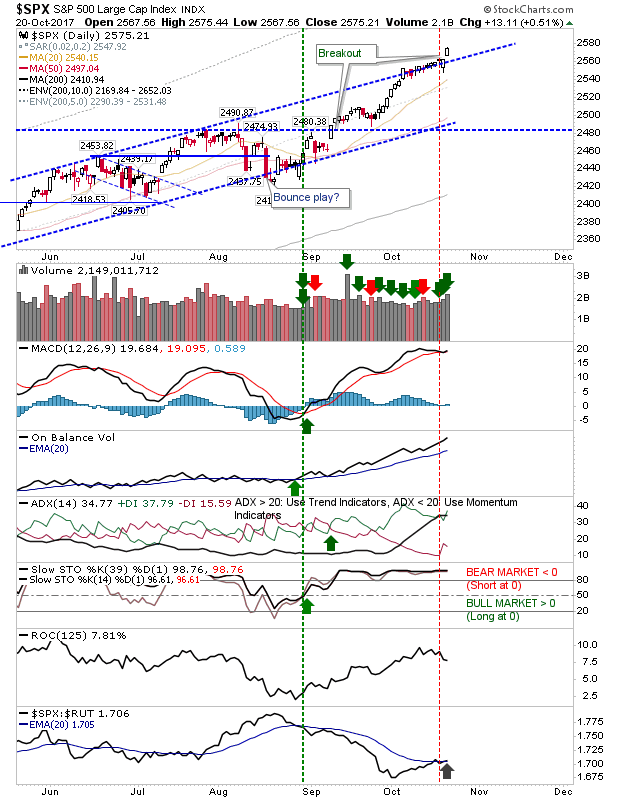 Any gap down at the open may offer Tech traders a chance for profiteering but if there is a lead down look to the Nasdaq and Nasdaq 100 to weaken first.